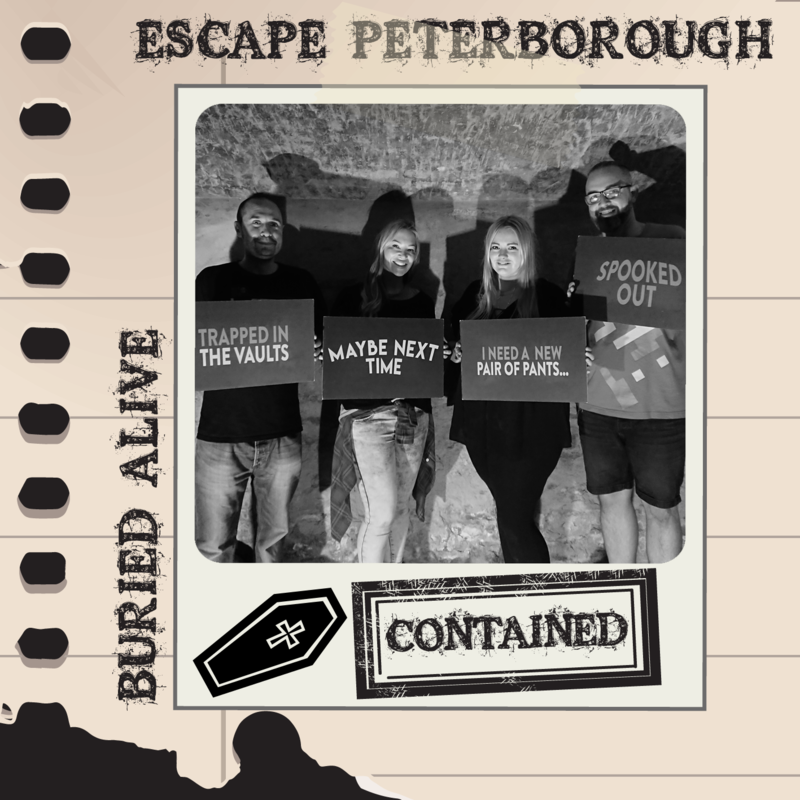 If attending an escape room in Peterborough's most haunted location wasn’t tempting enough, adding the promise that a team member was to be locked away in a coffin and buried alive sealed the deal for our next escape adventure! We arrived at Peterborough museum’s coffee shop and waited to be escorted to the lesser-welcoming vaults by our friendly and knowledgeable games master. Access to the vaults was from the side of the building, hidden down some aged stairs into a dimly lit basement. Any thoughts of this game’s pernicious location's hype having no substance was fast evaporating on its first impressions. After a welcomingly unexpected tour of the historic, albeit terrifying vaults we were briefed on the games plot and our brave team member who’d volunteered to be buried alive was led blind-folded into the room alone, leaving the remaining three alarmed for what was to come. We would also mention to carefully select the person being buried alive, as they need to be to of strong will and mind for what they are about to endure! The plot detailed that a plague had spread across the nation. Our friend who had been diagnosed with this plague has been locked in a coffin and left to die in the mortuary. 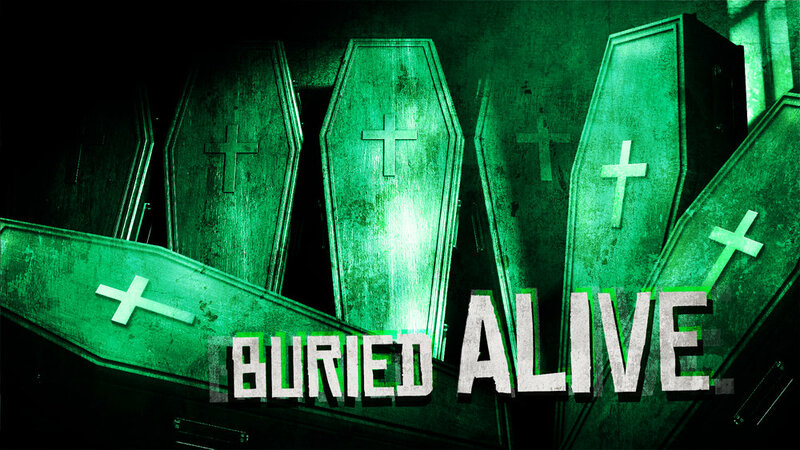 However rumour has spread that the disease is not in fact fatal and many had been buried alive! It was our job to free our friend and make our escape. 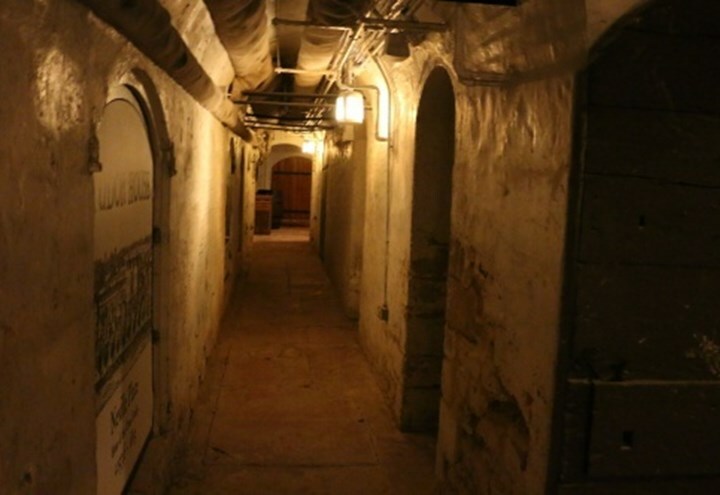 We entered the eerie room to be confronted by a huge coffin and the muffled sound of our friends’ voice – he had been taken from us moments before and was now unsettlingly trapped inside. We explored the room and discovered aptly sinister props to examine, unusually secluded to just one area of the space. The environment naturally sets you on edge, so the addition of a brilliantly executed and completely unexpected aspect to further jangle your nerves made us quickly realise this escape isn’t for the faint hearted. There was an array of puzzles, some which heavily relied on strong communication skills amongst your team. It was these puzzles that were best performed with less interference from multiple players to avoid confusion, so on occasion left some of the team redundant without much to do. The puzzles varied in their wow-factor, some were cleverly implemented and others teetered on the edge of sheer frustration rather than enjoyable. Another annoyance was the location of some of the locks, which were near impossible to utilise without strain due to the combined hindrance of their awkward placement and lack of sufficient light to see - an intentional addition no doubt, but mildly irritating when you’ve already worked out its resolve and want to hurriedly move along. We fully appreciate due to the nature of the listed building that we weren’t going to discover purpose build hidden doors, fancy tech or trinkets drilled to its walls but found the puzzles to be too concentrated within one specific area of the space. The game had highs and lows but it was the lows that sadly resonated with us. There was too much time spent with players left without anything to do and due to this at times the pace felt quite slow - particularly for our coffin-encased friend. Team involvement amped up a little towards the end, where the puzzles became slightly more inclusive. Once you’re over the novelty of a team member being locked inside a coffin and omit the allure of the sinister surroundings of The Priestgate Vaults for Buried Alive, the main crux of the game and the quality of the puzzles here sadly felt weaker than some other escapes we’ve played. We still recommend a visit for its unique location, the odd pulse rising moments and for the amusement of having a friend buried alive. But if it’s the quality of the puzzles and full team participation that gives you your adrenaline rush, then we feel there are better escape games at lesser prestige locations within the Peterborough vicinity.